This also makes thinning the colors very easy. 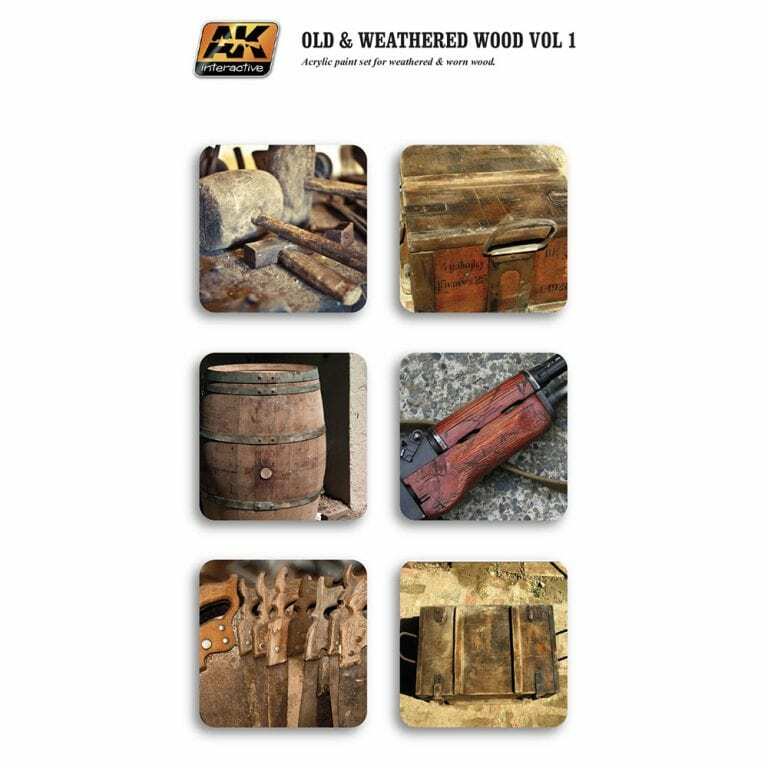 In combination with Vol.2 you can represent any type of wood. In order for the modeler to take full advantage and get the most out of these wood paint sets you would be advised to also buy the “Realistic Wood Effects” book also by AK Interactive. _ AK778 Freshly Cut Timber. _ AK780 Dark Wood Grain.